Are You Tired of Throwing Your Money Away On Advertising? only to get nothing in return? I know you are- and I’m always heartbroken when I hear these sentiments. And I can tell you this for certain- when I was a wedding pro, I most definitely was sick and tired of throwing my money away on nothing! You see, back when I was a wedding planner, I decided to advertise with a few large websites- you know, because I believe in advertising and marketing your business. However, I ended up being sorely disappointed when they didn’t know who I was, didn’t interact with me, didn’t offer me any opportunities, and didn’t provide me with any other benefits beyond a stagnant, one-sided ad. I didn’t expect bookings or inquiries from my ads, but at the very least I expected *something* in return for the money I spent. But that didn’t mean that I decided that advertising didn’t work. It just meant that I needed to have better expectations and knowledge about where I was spending my money, and what I was going to be receiving in return. It was then that I decided I was going to set out to create something that would provide something of substance to help wedding pros market their business. And this friends, is how The V List was born. Marketing isn’t meant to be a one-and-done kind of thing… it’s a long term strategy, and upon implementation, you will receive long term results. 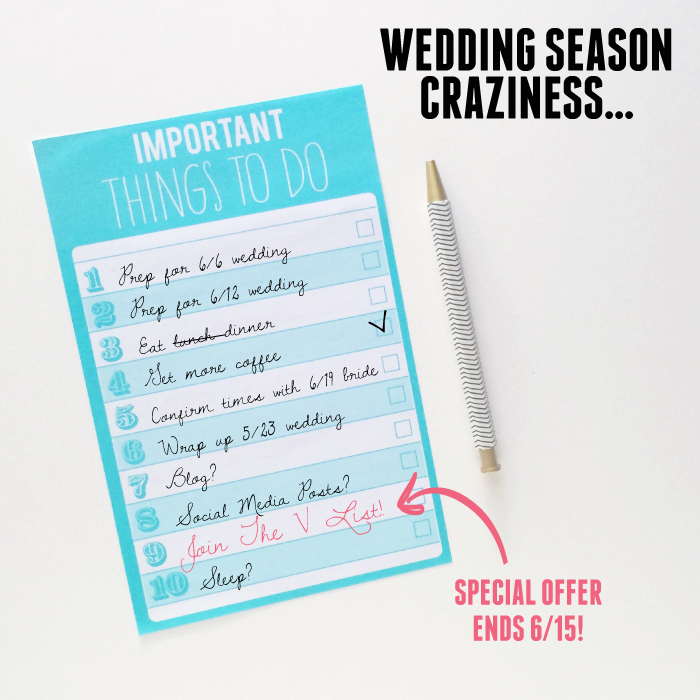 I created The V List to help wedding pros implement multiple touches of exposure into their marketing strategy. The V List is a service unlike any other available for wedding pros. It’s not the run-of-the-mill vendor directory you’re used to- it’s a marketing service and a tool you can use to grow your business. Social media posts (worth thousands of dollars alone), a targeted audience of couples with budgets of over $25k, exposure opportunities via articles on ELD, priority in ELD editorial submissions and features- these are just a few of the things that a V List membership will get you. 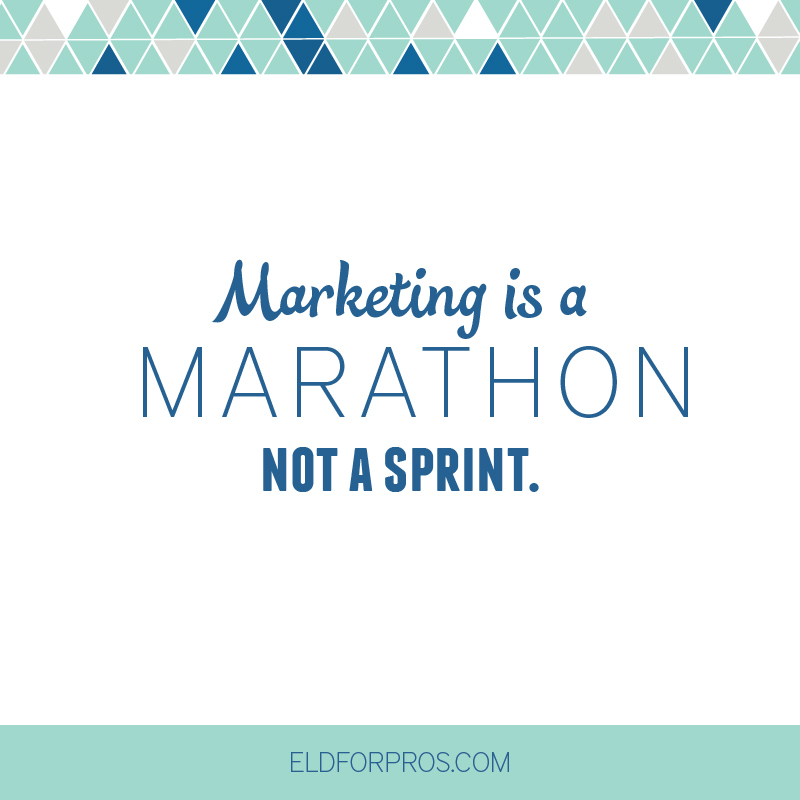 Advertising and marketing your business is a marathon, not a sprint. V List membership will provide you with various, continuous marketing touches that will expand the reach of your business beyond what you could ever achieve on your own. Friends, it’s time for you to get something in return for your hard earned money. It’s time for you to become a member of The V List. Click here to submit your V List application! This week I celebrated 5 years of blogging full time, and if you know me, you know that I love celebrating milestones and achievement, no matter what they are! Looking back on the last 5 years, I’ve learned quite a bit. I’ve made mistakes, hit walls, and yes, I have most definitely considered “just going and getting a real job” several times. 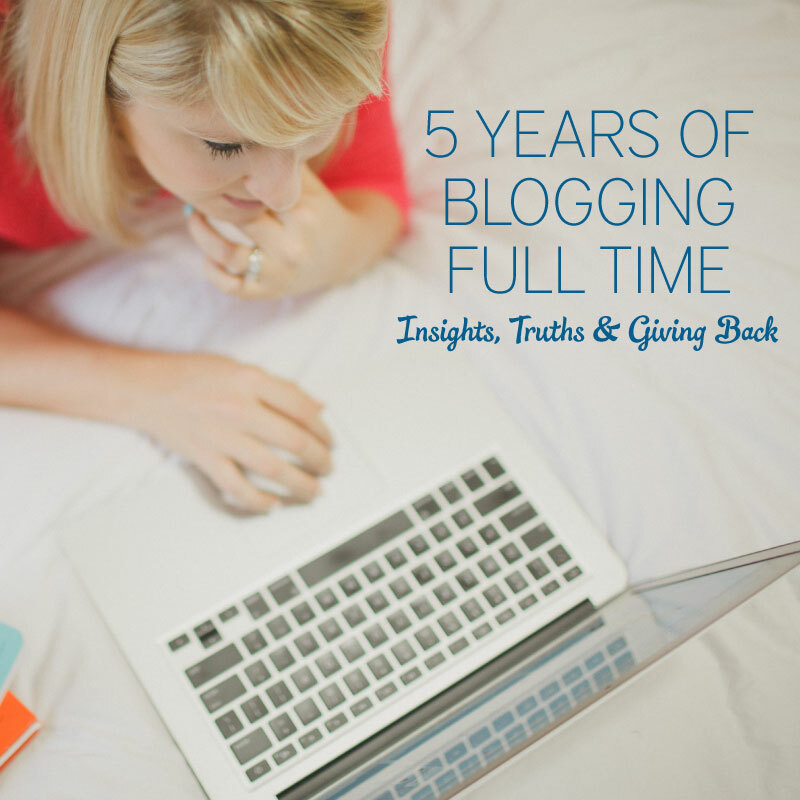 A few things cross my mind when I reminisce about the last 5 years, and because I’m all about transparency and insight, I thought I would share some of those things today (and PS- there may be something special for wedding pros at the end of this post). I remember that day in April when I sat down at my desk, and looking back now, my goodness did I have high hopes. I made my list of things to do, and was ready to start projects, schedule meetings, and blog blog blog. Truth be told, I was in for a rude awakening. I struggled for a good 2 years, fighting with my expectation of what constituted a “successful day”. I would look at my To Do list, and feel like a complete failure because I only got 1 or 2 things crossed off. I would always have the goal to be 2 weeks ahead in blog posts- which never (and still hasn’t) happened. I would spend whole entire days being sucked into social media. One day I even spent the whole day obsessing and over thinking about a negative comment on a blog post. I would be lying if I didn’t admit that it took me a few years to get my feet on the ground as a “full time” wedding blogger. A good deal of this was my own fault though, and I’m hoping that be sharing, someone will learn from my mistake. My big problem as that I had created this vision in my head of what being a “full time wedding blogger” would look like. In a perfect world, I would be looking through gorgeous submissions all day, styling shoots every month, and blogging every day. The truth is far from that y’all. After about 2 years of feeling like a constant failure, I finally threw away that “ideal day”. I realized that wasn’t how things would happen for me and my business. I stopped feeling like a failure, and just accepted that how I work might not be “normal”. I’ve embraced what works for me and as a result, it keeps me loving what I do. Although, if you ask me today, I’ll tell you that I still feel like I don’t have things completely figured out- which is (personal tidbit time) one of the reasons why we don’t have kids yet. It’s been my goal for the past 5 years to not work into the evening. I still haven’t hit that goal. The reality is, even 5 years in, I’m still working 12 hour days, sometimes until 2 or 3 in the morning (one of those main reasons being that I decided to start another company with my friends too). There are never enough hours in a day or days in a week. Emails, texts, and phone calls go unanswered, and I joke that one of the only ways to truly get a hold of me is to show up at my door (sadly the truth). But it’s okay, because I know that business ownership is a constant learning experience, trying new things, evaluating what works and what doesn’t work, and always growing and changing. All this has been brought about by me recognizing (and celebrating) my “Full time” anniversary. But you know what the funny thing about the term “full time” is? When it applies to business owners it usually doesn’t represent actual full time hours- because the amount of hours that a business owner works are typically far more than what a full time job entails. What “full time” does represent for a business owner is that their business replaces another job and provides the business owner’s income. That saying that you’ve likely seen or heard, “An entrepreneur works 80 hours a week just so they don’t have to work 40 hours a week for someone else” could not be more true! Thankfully, I’ve been “full time” ever since that day in April 2011, but I’m sure as many business owners know, it hasn’t been all cake and flowers (I wish). And while I’m definitely a proud small business owner, when people ask me what I do- even after 5 years- I still hesitate to respond with “I’m a wedding blogger.” I usually start by saying that I own my own business, and then say that I run a website, and then if they ask, I eventually share that it’s a wedding blog. Maybe it’s because many people hear the word “blogger” and immediately think of a hobbyist, or the fashion bloggers on the news that bring in $20,000 for a social media post. Maybe it’s because I’ll never forget when I met someone who said, “So I hear you have a wedding blog. That must be so much fun.” To which I responded with, “Yeah, I love it. It’s a lot of work, but it pays the bills.” And her response: “Oh wow, so it’s like your JOB?” It’s something that I’ve wrestled with for years, and as each day passes by, I get closer and closer to “owning” what I do every day as a wedding blogger. Of course, many people just see all the pretty and the social media that goes along with a wedding blog, and think that we just do it for fun. I mean, sure, it’s definitely a lot more fun than a normal job, but it also costs a lot of money to run and takes more hours than we have available in a day. A wedding blog is a business just like any other business, and it is paying bills and putting food on our tables. In my case specifically, I have supported my husband and I with Every Last Detail for all 5 years that I have been blogging full time. I now have 3 people on my “team” on a part-time basis, and have the responsibility of paying them, in addition to myself. This website that you’re on is a business, and a very real business at that. The decision to go full time with my wedding blog was one that was based on deciding to offer a type of advertising that is common to the wedding world- a vendor directory. I was doing a re-design of my site back in 2011 (just before going “full time”), and I’ll never forget that moment when my designer asked me, “So you mentioned maybe wanting to do a vendor guide. Do you want to move forward with that?” I was driving in to work (a job as a planner and designer, which was amazing) for another 12 hour day. I had never planned on a career as a wedding blogger- I thought I was working towards starting a wedding planning business. But it was that moment that I realized that if I worked really hard and put myself out there, I could turn this blog into my business and replace the income of my full time job. My personal goal had become educating brides, and a lightbulb turned on- I could reach more brides through a website than I would be able to reach in a local wedding market! And all at the same time, I could do the other thing that I love- help wedding professionals. In my case, having been a wedding vendor myself, I knew that I wanted to offer something more than a one-sided directory listing, which is the norm for “vendor guides”. As time progressed, The V List (formally Every Last Vendor) developed. I decided that what I wanted to provide was active marketing, and not just a stagnant ad. I didn’t want people to just pay me and then receive nothing but an ad in return. I wanted to do whatever I could do on my end to make sure I was providing something of value to professionals. I wanted to make sure those paying me received a higher level of consideration when it came to getting featured on ELD. I wanted to develop relationships with those people, and facilitate relationships between them as well. And so, the Every Last Detail “vendor guide” evolved into more of a marketing service than a directory listing- what is today known as a V List Membership. Now I’ll be honest- it has been incredibly difficult to break free of the typical stereotype of “vendor guide”. There were many that came before me who offered nothing of substance in return for money that a wedding pro paid them. In fact, many of my competitors still do that, and I’m constantly fighting that comparison and that view of “vendor guides”. Could I just knock down my prices and just offer a profile, nothing else included? Sure. But quite honestly, that doesn’t work for me, and just as I had to throw away my flawed concept of an “ideal day”, I did away with trying to fit into the “norm” of what I offer as a publication. And I wouldn’t have it any other way, because now I can sleep at night, knowing that I and my team are working hard for those who support ELD. It’s what what keeps me going. All this to say that I am truly indebted to those business owners who have worked with us at Every Last Detail. They have helped me find my passion and do what I love. Friends, I encourage you to support your fellow business owners (wedding bloggers included) in whatever way you can. By doing so, you help them put food on their table, and hopefully you will also be supported by them. Support is the best gift you could ever give anyone, and in my opinion, the best networking and marketing tool as well. And now all of this brings me to something special! Wedding business owners, I want to give something back to you, because quite honestly, I would be nowhere without you. To take advantage of this special offer, click below to submit your application for The V List- and don’t forget to select which complimentary offer you want! And of course I most certainly cannot forget about my existing V List members, because y’all are the reason for my thankfulness! If you are an existing member, you will have the opportunity to purchase any of the above offerings at a very discounted rate, OR you can renew your membership early and receive the same as above! See the V List Facebook Group, Instagram page, and your email for details! Questions? Feel free to email us at thevlist@theeverylastdetail.com! And if you want more info about The V List in general, click here! *Note: This special is only applicable with purchase of an annual membership for $595, and does not apply to our other payment options. Participation in the special is pending approval of application. I’ve been seeing quite a few comments and posts lately regarding wedding blogs, alluding to the fact that they are all the same, will only feature certain things, and only showcase a specific type of photography. As someone who is very connected to the wedding blog community and who features a variety of weddings and styles of photography, I have to say something. Let me start by saying that there aren’t just a small handful of wedding blogs- there are hundreds of wedding blogs out there. 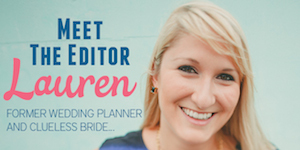 Each and every online publication was started because that editor felt that she (or he) had something to offer the wedding world that wasn’t already out there. 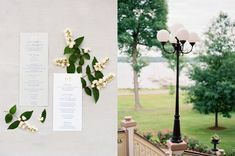 That “something” could be showcasing a certain style of wedding, providing advice, or even just sharing inspiration- and it can be made evident by taking a look at recent posts on the publication. If it seems like a blog is only publishing a specific type of wedding or style, that’s likely on purpose, and because that is what they decided to establish as their niche. 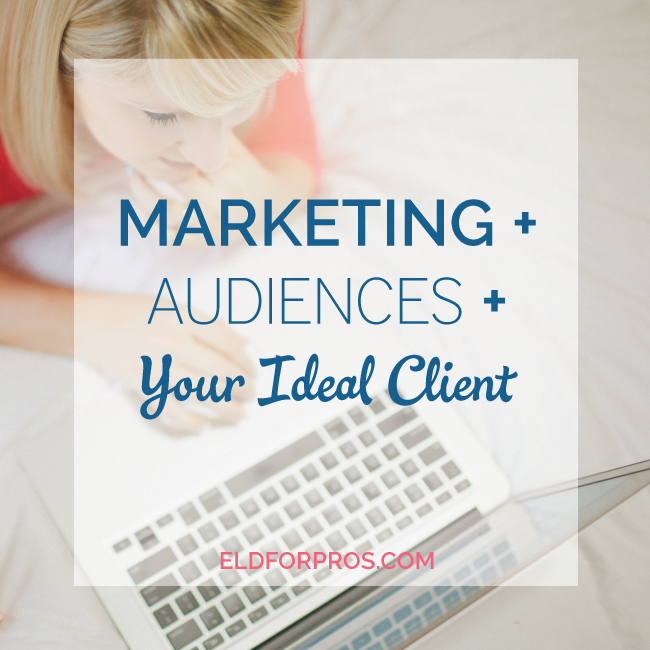 Just as you, as a wedding pro, have your ideal client, wedding blogs also have an ideal audience. 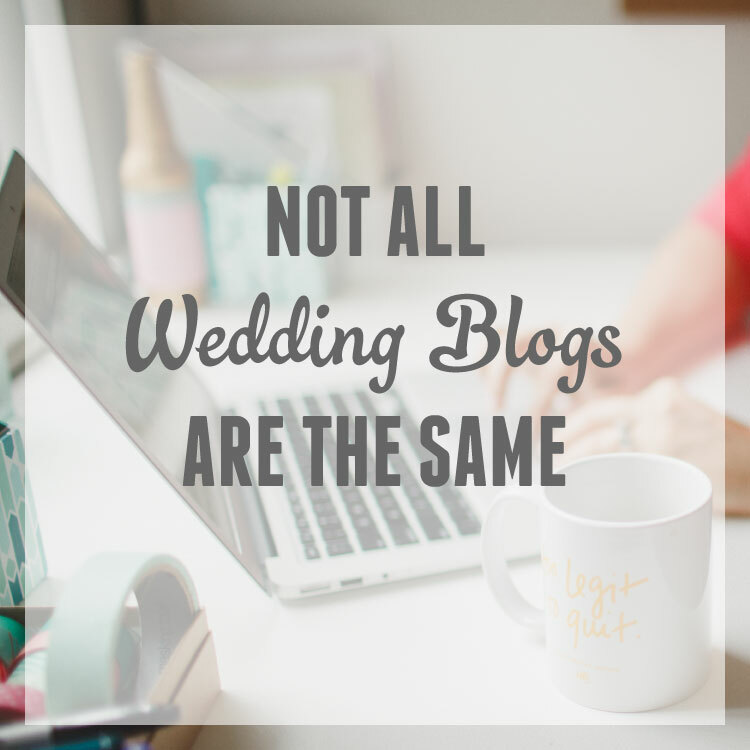 PLEASE stop categorizing wedding blogs as all being the same. Please stop lumping all wedding blogs together into this negative, unhelpful category of “wedding blogs only feature X, Y, or Z”. I realize that you may only be aware of the big, popular publications, but there *are* others out there. I know that half the battle as wedding pros is just knowing about those blogs, so I recommend taking a look here for a list of many different wedding blogs that you may not have heard of before. Because saying that all wedding blogs will only feature X, Y, or Z? That basically says that a) you don’t want to do the research to find other publications to submit to or b) that you only want to submit to a publication that features X, Y, or Z. A wedding blog is in existence to help you share and promote your work. Do your research to find the ones that are a fit with your ideal couple and submit your work to them so they can then do their job in helping you share and promote your work! 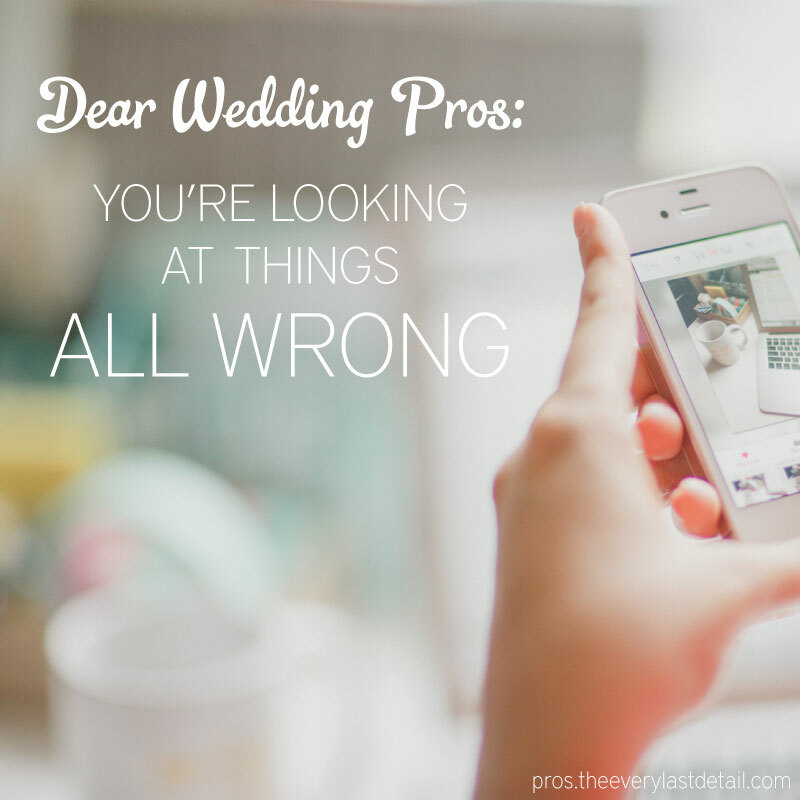 Dear Wedding Pros: You’re looking at things all wrong! I’ve been seeing a lot of talk about this and that “big” publication, advertising or not advertising with X and Y. And quite frankly, it’s time someone said something. you’re looking at things all wrong! You’re looking at the numbers, the masses, the majority, and getting blinded by them. Are those things good? Sure. Do they matter? Sure. But guess what? The numbers, the masses, the majority… they might not be your target client. In fact, the masses would be this: 76% of engaged couples are planning weddings with a budget of less than $30,000 (Splendid Insights, 2015). If you want higher budget couples, the answer is as simple as this: stop “hanging out” where low budget couples are hanging out. What you should be looking at is your specific couple that you want to reach, and whether a platform or publication is reaching them. How do you figure this out? Content. The publication or platform’s social media posts, blog post titles, what they publish, and what they publicize. Sometimes you have to read between the lines to figure out the target audience of a publication, but it SO important to do your research so you’re not throwing your money away! You see, most publications are all about drawing in as many visitors as they can. Since the majority of couples are planning lower budget weddings, the content they write is going to be directed at drawing those couples in. This is why you see articles on major publications that are telling couples to forego hiring a professional photographer and other abominable things of the kind. Quite frankly, they couldn’t care less whether it’s wrong or right information- they just care about drawing in as many people as they can. If a platform or publication is telling brides how to have a wedding for $5,000 or not to hire a professional, that is the couple they are targeting. Simple as that. Since our audience at Every Last Detail is one that is hiring professionals and spending over $30,000 on their wedding, I’m going to use that as the “target client” in my examples. First off, that is our audience because that is what I know. When I was a wedding planner, I didn’t plan low budget weddings. For the most part, I was able to plan weddings with budgets of over $30,000. And in doing that, I realized that it’s really hard to have a wedding using professional wedding vendors for anything less than that price point, because things cost what things cost. Hence the development of my goal of educating couples about weddings and encouraging them to hire professionals. For us at Every Last Detail, we definitely do not attract the masses, nor do we want to. When we do attract the wrong couples, they know pretty quickly that they’re in the wrong place- all thanks to the content that we have on our site. You may not want the couples who just want to replicate everything they see on Pinterest and not put any thought or personality into their wedding. 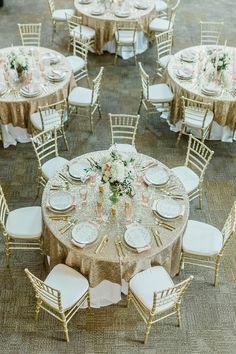 You may decide that you want couples who are going to put thought and intention into their wedding planning and design, because you know that those are the weddings that are the most meaningful and enjoyable. Take that same “ideal client” perspective, and apply it to publishing your work and spending your marketing dollars. Put thought and intention into where you are marketing yourself, using your ideal couple as the driving force behind your decisions. Now, if your ideal couple *is* the Pinterest wedding type, then go for the masses. But if that’s not your ideal couple, get specific and direct so you can be where your ideal couple is; work with the publications and platforms that are attracting your ideal couple. A wedding blogger who wants you to succeed! I do a lot of thinking about marketing, audiences, and ideal clients. A LOT. Like every minute of every day. Rightfully so, of course, because it’s my job to make sure that I’m attracting the right audience for my partners. In doing this, I’ve come up with a few analogies that could be applied to marketing, audiences, and your ideal client.. If you want a high quality steak, do you go to McDonalds? No- because you know McDonalds doesn’t have steak- you go to the high end steakhouse that you know has high quality steak. If you are fishing, and you want to catch, let’s say, Grouper… you need a special fishing pole for that, right? So you wouldn’t just cast a net and hope that you catch Grouper- you would do what is necessary to try and ensure you’re going to catch the fish you want. If you’re looking for something by Kate Spade, do you go to Walmart? No- you go to the place where you know Kate Spade is carried- whether it’s the actual store, the outlet, or a website. Wedding pros. You’re busy. I get it. It’s wedding season, and I definitely know what that’s like! I also know what it’s like to come up for air AFTER wedding season, only to be hit with the realization that you’ve been seriously slacking on your marketing. so read on to find out about a SPECIAL OFFER & how I can help! So here’s the thing- I want to help you. And I want to tell brides about you. So how can I do these things for you? With a ‪The V List‬ membership! If you haven’t heard by now, let’s recap- The V List is NOT a vendor guide. It’s what I like to call a vendor marketing tool, where you get a profile, plus marketing, exposure, relationships, exclusivity, and community. You don’t just sign up, get a listing, and become an invoice number, only to hear from me one year later. You become a member. The truth of the matter is… this- The V List- is my job, and it’s what I love to do. 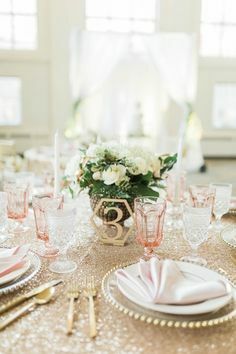 Telling brides about amazing wedding professionals, connecting them, and sharing about them. Marketing wedding professionals and helping brides is what I live for. So I’m doing something special for you. and get your choice of a free add-on valued at $200! 1) Go to theeld.com/whatisthevlist to make sure you know all about this awesome tool that is The V List. 2) If you love what you see, scroll to the bottom of the page, click on the “application” button, and submit your application! 3) I will review your application, and then you’ll hear from me within a few days! It’s as simple- and awesome- as that! Any questions? Feel free to ask away or email me! Want more info about The V List? Click here for a complete breakdown! Having your work published- whether online or in print- gets your work out there and in front of brides. Brides are constantly searching for inspiration, and publications are where they turn to find that inspiration. Not only that, but when you are published on a reputable website, your business name gets an extra “bump” in Google. More and more brides are turning to the internet and publications to plan their weddings. As brides get younger, it becomes more of a second nature for them to turn to Google for answers. I mention this because it’s really easy to get caught up in numbers and popularity. Believe me- I get caught up in it too. If you’re submitting your work to the place that hast the most viewers and is the most popular, then your chances of getting seen are even greater, right? In theory, yes. However, the drawback to this can be the audience focus of the publication. This makes those who are spending over $30,000 (read: hiring professionals) less than 25% of brides out there. So knowing this information, can you guess which audience of brides the publications with the highest numbers and most popularity are targeting? I point this out because if you are publishing your work with a publication that focuses on a particular type of bride, then you should expect to get those types of brides (1 to 2 years after your publication- see the last topic). If you are features with a publication that has an audience focus on DIY/budget weddings, you may receive inquiries from brides who might not be able to pay your rates. I’m not saying these things to throw a tantrum because I target the bride spending over $30,000 on her wedding. I’m saying these things to point them out to you. Because like I said- it’s easy to get caught up in what is popular. Just because it’s popular does not mean that it’s right (for YOU). How do you find out what a publication’s audience is? It’s really quite simple. Look at the information being shared on the publication. Look at the weddings and shoots that are featured. Look at their social media messages. Taking those things into consideration should give you ample information about a publication’s target audience. It may take a few extra minutes, but trust me- it will definitely be worth it! The number of features that a publication showcases should absolutely be something that you consider when deciding on where to submit. This could mean how many times per year a magazine is published, or how many times per day a wedding is featuring on an online publication. The less that is published, the better your chances of being seen. This also betters your chances of having your work actively publicized by the publication, as well as it provides a bit more “prestige” to your feature. Exclusivity is a big topic among wedding bloggers, and it should be among wedding professionals too. Having your work exclusively featured with a publication means that the feature will only be seen on or in that publication. Over the years, the term “exclusivity” has been bent, stretched, and questioned, but exclusivity still remains and is preferred when it comes to publications- especially with the popularity of image sharing platforms such as Pinterest. Publications designate themselves as “exclusive” and “non-exclusive”. Exclusive publications require that you submit to only that publication, and they will not feature anything that has been previously published anywhere else. They also ask that after your feature, you not submit that wedding or shoot to any other publications- but this is being bent lately, and many commonly ask that you wait a few months after publication to submit to non-exclusive publications. Non-exclusive publications will feature something that has already been seen in or on another publication, but they also have specific standards to what they will feature. Publications with a focus on a small location or small niche may be non-exclusive in what they feature, as long as what is submitted to them fits with their focus. Because of the focus on a specific audience, the readership of a non-exclusive publication is likely less than that of an exclusive publication. Deciding whether or not to submit to exclusive or non-exclusive publications can depend on what your goals are when it comes to publicity and who you want to reach. My recommendation would be to submit to an exclusive publication (one at a time please), and then upon being published there and passing the exclusivity time frame, submit to select non-exclusive publications. The thing to keep in mind here is that you don’t necessarily want to blindly submit your work- because as I previously mentioned, each publication has a specific audience, and you want to make sure you are reaching your own target audience with your features. Tip: Multiple publications of the same shoot or wedding is not always a good thing. Brides read and frequent many publications- if it is something that has already been seen countless times, a bride is less likely to pay attention to it. Too busy? You should still submit for publication! It’s important to remember that you will see the “fruits” of getting published up to two years after the feature. This is why you have to be thinking ahead when it comes to being published. Features with publications- especially those online- cycle through for years to come. Pinterest, Google, Loverly- brides are turning to all of these resources to find inspiration for their wedding… often times before they’re even engaged or before they’ve booked a single vendor. Some of my most popular features are ones from 2, even 3 years ago! This is why submitting your work and getting featured IS going to have an affect on your bookings in the future- both in number and in style. All this to say that if you’re super busy one year and don’t have a chance to submit your work or do photo shoots, be prepared to see a lull in your bookings a year or two later. I’ve personally seen it many times over the years. Someone who is newer in business does lots of shoots and makes sure to submit their work to be published to get their name out there. As they start to get busier, shoots and submissions fall to the wayside. A year or two after hardly having any publications, there is a lull in bookings, and that professional wonders what happened and where they went wrong. So if this is you- too busy to do shoots or submit your work- I encourage you to look at your process and do what you can to add submitting into the mix. Make the time to focus on submitting and getting published. Hire someone to handle submissions for you. Stay in touch with the vendors involved in the wedding. Do whatever you can to make sure you don’t fall behind on submitting your work to be published! 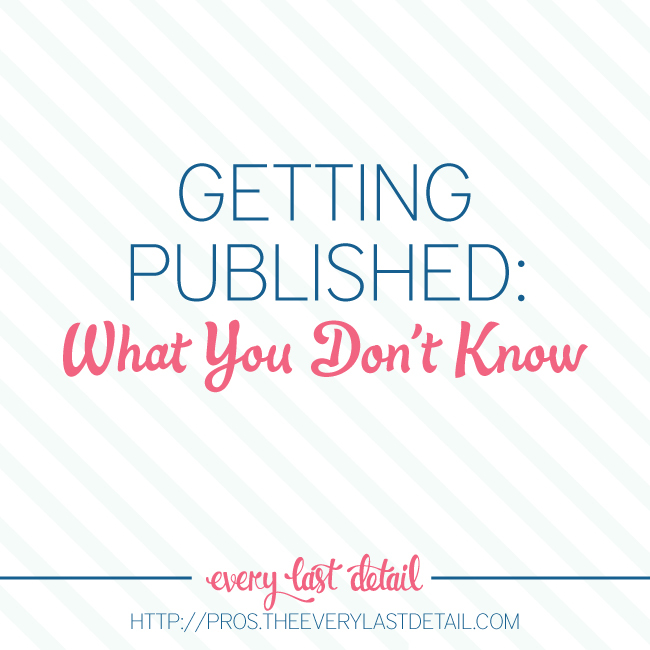 So there you have it- a few of the things that are constantly running through my brain about getting published that are so very important for you as a wedding professional to know! I’ll be working on another post regarding my best tips for *how* to submit to an online publication, but for the time being, if you have any questions, please comment here or head over to my Facebook page to ask! Hi friends! So I want to talk about something today that has become a little “dividing” in the wedding industry… Inspiration (aka Styled) Shoots. I don’t want to talk about whether or not you should partake in inspiration shoots, but I definitely want to talk about what they are, why they exist, and how they are beneficial. Let’s start with what inspiration (aka styled) shoots are. I myself use the term “inspiration” instead of styled because their aim is to provide inspiration. Now, there are some shoots that incorporate way more “styling” than inspiration (think fashion), but I don’t feature those, so that’s why I prefer to use the term “inspiration”. You see, brides are turning to blogs and magazines for ideas and inspiration. If they see the same thing over and over, it will just result in them replicating the same thing over and over, and thus we have a vicious cycle of the same wedding over and over (mason jars anyone?). With the advent of Pinterest, many weddings are starting to look the same. Brides are forgetting to infuse their personalities and story into their weddings, and just focusing on replicating what they saw on Pinterest. I actually reject a lot of weddings just because I’ve already featured weddings that look exactly the same. Publishing the same wedding over and over isn’t going to be inspiring or helping any brides who are turning to my site looking for inspiration and ideas. Here’s where Inspiration shoots come in! 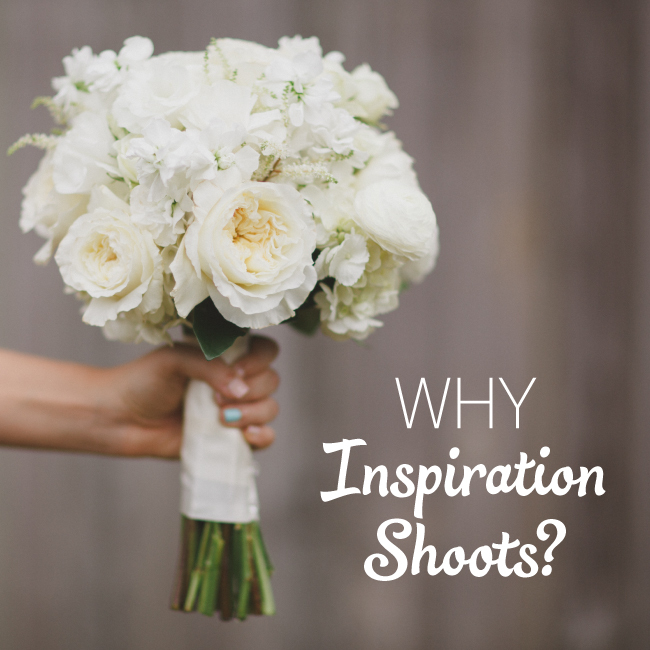 Inspiration shoots provide INSPIRATION. They give brides visual examples of something new and different that they might not have seen before. They encourage them to think outside of the typical Pinterest box. They open their eyes to the possibilities that are out there. Inspiration shoots provide inspiration to brides, but they are also a great way for a wedding professional to do something that enables them to spread their wings creatively and do things without having to stay within the confines of a bride’s budget and wishes. Doing a shoot is a great way to showcase a particular style that you aren’t booking yet but you want to book. It’s also a great way to network and work with vendors you haven’t yet worked with too. Along the same lines of what I mentioned above, inspiration shoots can get you exposure when you’re not getting any with the weddings that you’re booking. Everyone has to start somewhere, and often times that means starting with weddings that might not be “publishable”. Doing an inspiration shoot can help you get additional exposure beyond what your existing portfolio can reach. 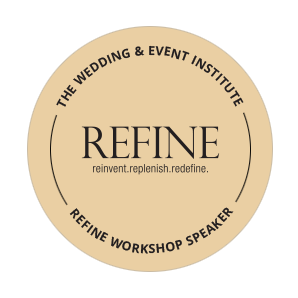 – Do something that will reflect your brand and the bride that you want. – If you are an advertiser with a publication (or have a particular publication in mind) contact them to find out if they want something in particular and would like to team up on a shoot. Having guaranteed publication makes it a lot easier to get vendors on board. – Don’t do something that you’ve already seen done multiple times. – Keep in mind that the goal of a shoot is to provide inspiration to brides, so make sure you have fresh, new ideas and details that will inspire them! 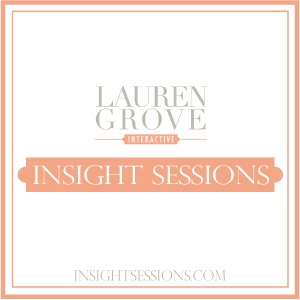 Have any questions about inspiration shoots? Let me know- I’m happy to answer! In the wedding industry, we like pretty things- obviously. But along with that, we also tend to get caught up in the outward appearance of things and forget to look at the inner workings. For example- have you ever purchased a bottle of wine based solely on the label, only to open it and discover it’s not quite up to par? Sadly, I’ve seen this same concept applied to where marketing dollars are spent- in fact, I’ve even experienced it myself. 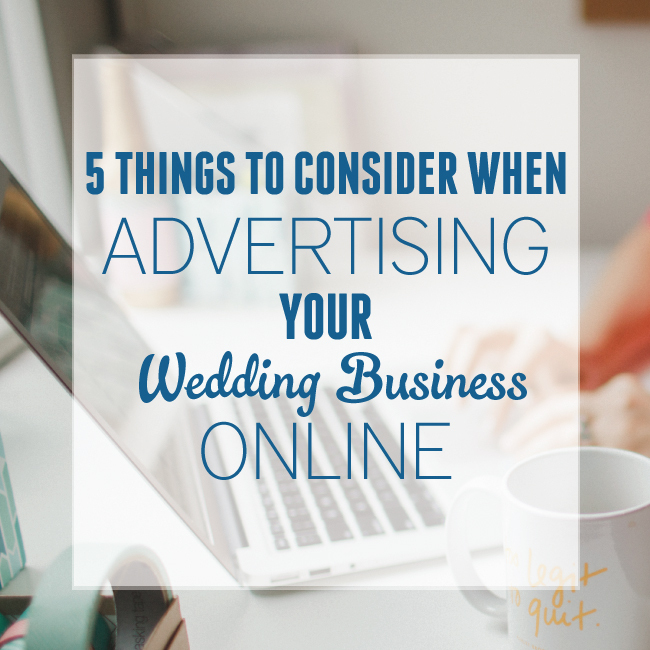 All this to say that over the years, I’ve found there are a few things you should consider when advertising your wedding business online. Now yes, full disclosure- my income is derived from advertising income. But this information is important to know before you spend money advertising your business, and it’s my hope it will help you make an educated decision when it comes to spending marketing dollars for this coming year. Knowing an audience involves some decision-making for your own business as well as defining the audience of a potential advertising avenue. On your side, you want to know who your ideal couple is- who you want to reach. This involves defining their wedding budget, style of wedding, what they like to do in their free time, what they wear… everything really. Do some digging and take the time to define your ideal couple if you haven’t already. – Types of weddings featured: Are the weddings DIY weddings, or weddings that use professionals? Budget weddings, or a little above-average weddings? Boho weddings, or elegant weddings, or a mix? The weddings that are being published are drawing in the brides that are looking for those types of weddings. – Other non-wedding posts: What kinds of other features are being done on the publication? DIYs and how-to tutorials? Or posts on why they should hire vendors to help them with their wedding? The message that posts send is a huge part of the audience that a publication is attracting. – Features of the site: What kinds of features of the website are highlighted? Is there a vendor guide or a place for printables? A highlight of the DIY weddings on the main page? The audience is, in my mind, one of the most important things to look at when deciding where to spend your advertising dollars. Because as much as you want to it to work, if you’re advertising with a site focusing on DIY brides, but your price range is outside of the typical DIY bride’s budget, then you are most likely not going to see success. Yes, the number and reach of viewers should definitely be considered when spending your money advertising online. But definitely don’t put the greatest amount of importance on it. The numbers of a publication are definitely directly correlated to the audience that they are aiming to reach too. For example- a publication that has a specific audience focus, like weddings in a specific location or vintage style weddings, definitely is not going to have comparable numbers to a nationwide publication or publication that features weddings of all styles. I will be the first to tell you that for my site, I don’t have the same numbers that other national sites have because I have a more specific audience. And I’m okay with that, because it means I’m staying true to my mission (see #4 below). This is similar to the audience, but location is an important factor on its own. Some publications will have a specific location as their focus- these are known as regional publications. I actually highly recommend advertising with your regional publication if you’re looking for local couples, as they have the best local audiences. However, some nationwide or worldwide publications will also have specific locations that they tend to get more traffic from. Many will include this in their information sent to you, but if they do not, don’t be afraid to ask what their reach is like for your location. And finally, because we like pretty things and great design, the appearance of a potential advertising avenue is a factor that should be considered. You of course want to be a part of something that presents a professional and clean look and is easy to use. This of course can be different for every website, so I encourage you to use appearance to encourage just a very small portion of your decision. As you can see, all of these things tend to go hand-in-hand, and it’s incredibly important to look at them as a whole package. Sure, looking at the above factors separately is fine, but the key to getting the most success out of your advertising is to look at the full picture and make sure that it coincides with what you want for your business. Above all, the audience is the most important factor to consider, and I encourage you to be truthful with yourself about determining this. Make an educated decision based on the facts and based on what works for YOU and your business. Don’t feel pressured to advertise somewhere just because everyone else is there or because they have loads of traffic. and how your business will benefit from your advertising decision. It’s no secret that advertising and marketing is my life. It’s my income. It’s what I do. And I love it. But for some reason, advertising has a kind of “bad word” connotation to it in the wedding world. Well friends, it’s time for the word advertising to become your best friend! 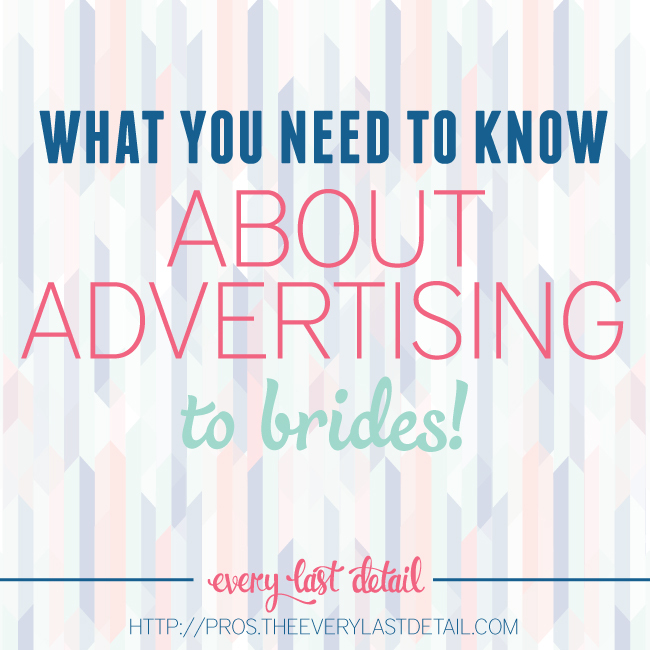 I have some truths about advertising to brides that I have discovered over the past few years. One of these truths: it’s 2014! The internet is where brides are turning to find just about everything for their wedding! But before I go off on a tangent, the whole purpose for this post is to share a podcast that I did with Elle of Postfilm Design– my fabulous website designer- about advertising to brides. “Everyone is desperate to figure out what’s going to reel in new clients. On the flip side, there’s a massive misunderstanding of what good marketing practices are. 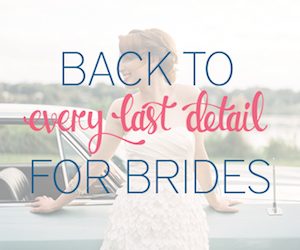 In order to effectively advertise to brides in the wedding industry, you have to have a logical plan. Elle asked me to provide my insight about advertising & marketing… and so, I present to you all of my knowledge about banner ads, getting published, vendor listings, getting exposure, relationships, audiences, stagnant ads, and getting results. 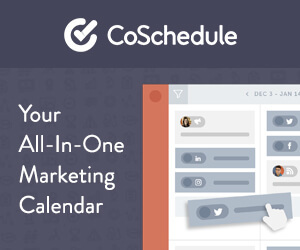 have you changed your marketing strategy to match it?